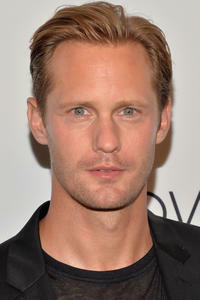 Alexander Skarsgard at the Calvin Klein Collection post fashion show event in New York City. 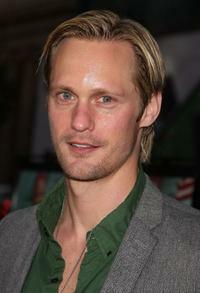 Alexander Skarsgard as Charlie in "Straw Dogs." Alexander Skarsgard as Charlie and Kate Bosworth as Amy Sumner in "Straw Dogs." 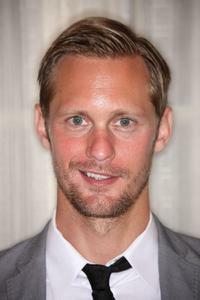 Alexander Skarsgard as Lincoln and Onata Aprile as Maisie in "What Maisie Knew." 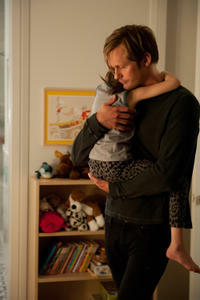 Onata Aprile as Maisie and Alexander Skarsgard as Lincoln in "What Maisie Knew." 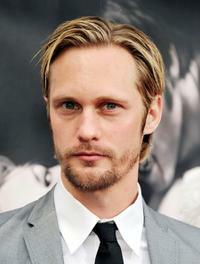 Alexander Skarsgard at the 25th Annual Television Critics Association Awards. Juliette Lewis and Alexander Skarsgard at the Tribeca Film Festival 2010. 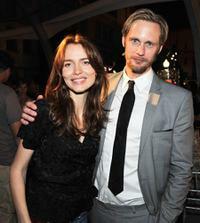 Saffron Burrows and Alexander Skarsgard at the after party of the premiere of "True Blood." 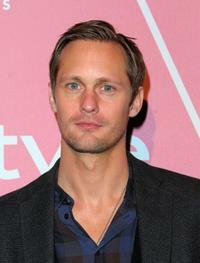 Alexander Skarsgard at the 2nd Annual Golden Globes Party. 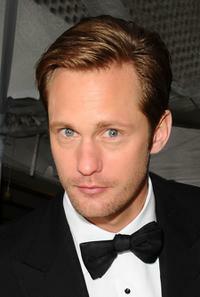 Alexander Skarsgard at the 67th Annual Golden Globe Awards. 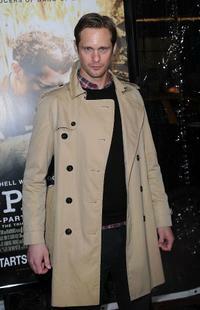 Alexander Skarsgard at the premiere of "The Pacific." Stephen Moyer, Anna Paquin and Alexander Skarsgard at the 16th Annual Screen Actors Guild Awards. Alexander Skarsgard at the 16th Annual Screen Actors Guild Awards. 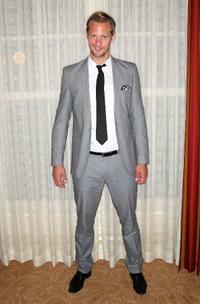 Alexander Skarsgard at the launch of the fourth issue of The Last Magazine. 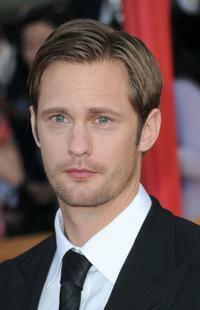 Alexander Skarsgard at the premiere of "True Blood." Alexander Skarsgard and Kristin Bauer at the premiere of "True Blood." 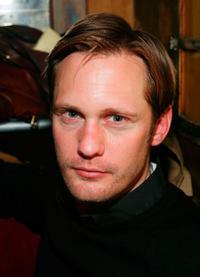 Alexander Skarsgard at the Belvedere IX Launch Party. Sam Trammell, Alexander Skarsgard and Nelsan Ellis at the 25th Annual Television Critics Association Awards. 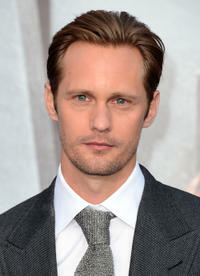 Alexander Skarsgard at the 14th annual GQ Men of the Year Party. Andy Serkis, Alexander Skarsgard and director Tarik Saleh at the 2010 Tribeca Film Festival. 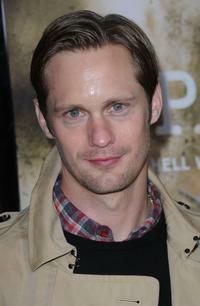 Alexander Skarsgard at the premiere of "Grey Gardens." Juliette Lewis, director Tarik Saleh and Alexander Skarsgard at the Tribeca Film Festival 2010. 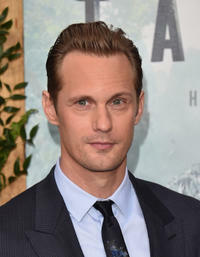 Alexander Skarsgard at the California premiere of "The Legend Of Tarzan." 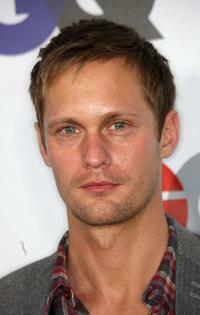 Alexander Skarsgard at the California premiere of "Battleship."